As an artist, David Bowie is widely considered a ""chameleon,"" shedding one persona to create a new one and thus staying popular, relevant and compelling. In reality, Bowie is able to work with the resources around him to create something new, causing many to see him as a sort of lone artist rather than a collaborator in the creation of his own celebrity. 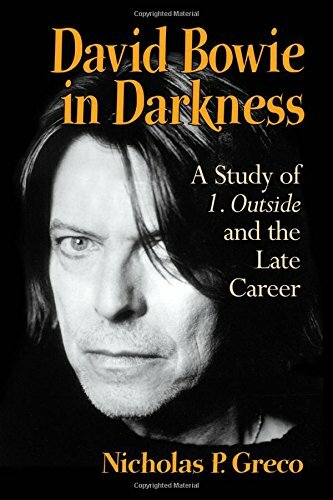 Since mid-career, Bowie has presented himself as a figure in darkness, progressively more hidden. He requires an audience for his continued celebrity but works against that audience in the creation - or rather the destruction - of his star image. This tension is made clear in his 1995 album 1. Outside, which has him performing for an audience while simultaneously shunning them. This book explores Bowie's negotiation of his celebrity during his later career, with particular focus on 1. Outside, an album symptomatic of deep-seated societal and personal anxiety. Nicholas P. Greco is an associate professor of communications and media at Providence University College in Otterburne, Manitoba, Canada. His research interests include the nature of celebrity, the construction of masculinity and the sacramental nature of television.